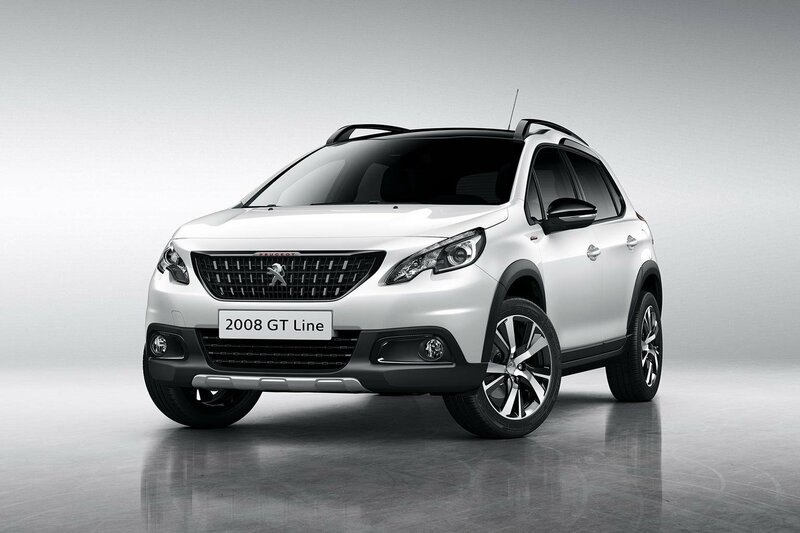 Facelifted Peugeot 2008 revealed | What Car? The facelifted Peugeot 2008 has been revealed, with interior and exterior updates and the option of an automatic gearbox added to Peugeot's rival for the Nissan Juke, Mazda CX-3 and Renault Captur. The small crossover occupies the same territory as the Ford EcoSport and Vauxhall Mokka, and represents a volume-seller for Peugeot, having shifted 40,000 units in the UK. Exterior styling has been brought into line with the rest of the Peugeot line-up, including a new grille design. There's also the option of an automatic gearbox, and increased storage capacity; growing by 206 litres to 1400 litres. A new, range-topping GT Line trim has also been added to the 2008 range, with exclusive badging, 17in alloy wheels and gloss black exterior trim. There are five versions of a 1.2-litre, three-cylinder petrol engine and three versions of a 1.6-litre diesel engine to choose from, now available with an automatic gearbox. The petrol engine range is split into two 81bhp, two 108bhp and one 128bhp formats. The most frugal of these is the 81bhp unit with clutchless manual gearbox, which achieves a claimed average fuel economy of 64.2mpg and 102gkm CO2. The diesels are 74bhp, 99bhp and 118bhp versions of Peugeot's 1.6-litre BlueHDi engine. These all achieve a claimed fuel economy of 76.3mpg, and emissions of 97g/km, with the most powerful of the three emitting 96g/lm CO2. There are a few kit revisions for the facelifted 2008 - the 7.0-inch infotainment system now has MirrorLink and Apple Carplay smartphone connectivity. Active City Brake - Peugeot's autonomous emergency braking system - is included, as are a reversing camera, and Park Assist, which autonomously parks the car for you. GT Line trim will now sit atop the 2008 spec list. No prices have yet been announced for the facelifted 2008, but they aren't expected to move far from the current £13,345 starting price. Full details will be released when the car makes its official debut at the Geneva motor show next month.